Something to look forward to: Although some people say smartwatches—at least those of the non-Apple variety—are a dying fad, companies continue to bring out new wearables. The latest Wear OS products come from Fossil, which has updated its line of devices with heart-rate trackers, built-in GPS, and NFC payment functionality. With most of Fossil’s smartwatches lacking heart monitoring and GPS features, they aren't ideal for the fitness conscious wearable fan. But that all changes with the release of its fourth-generation Fossil Q lineup. 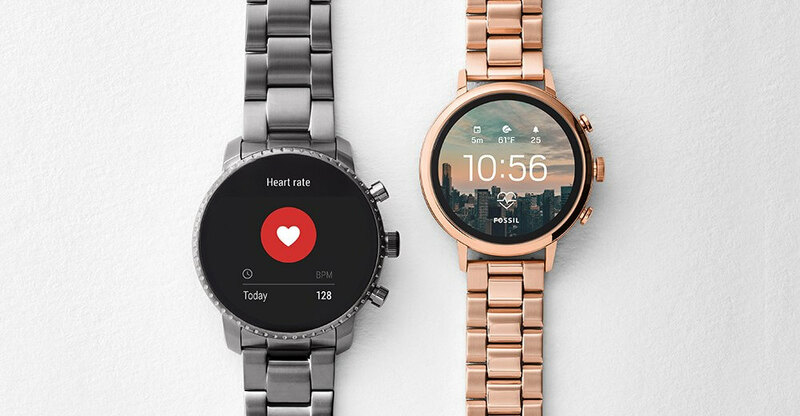 The Fossil Q Venture HR (40mm stainless steel casing), and Fossil Q Explorist HR (45mm case) can automatically track wearers' heart rates across multiple types of workouts using Google Fit. They also come with dials exclusive to Fossil that have heart rates integrated into the dial, allowing users to quickly check their beats-per-minute at a glance. Adding NFC for mobile payments is another new feature to Fossil’s lineup. It’s only compatible with Google Pay, but is a good reason for someone to choose one of the smartwatches over a non-NFC competitor. Fossil is also pushing its wearables' GPS features. As the function is untethered, wearers can track walks, runs, hikes, bike rides, and more—using Google Fit—without needed to bring their phone with them. They’re also swim-proof, so you can take the watches for a dip in the pool or into the shower, and music can be downloaded from third-party apps directly to the devices. The caveat is that both these smartwatches use Qualcomm’s Snapdragon Wear 2100 platform, which launched in 2016. The chip giant did say it was working on the next generation of these processors, but we’ll have to wait a bit longer for them to arrive. Prices for the watches range from $255 to $275 and are available now from Fossil’s website.